A henge like ring constructed of nylon Lycra stretched over a steel frame (pants henge). 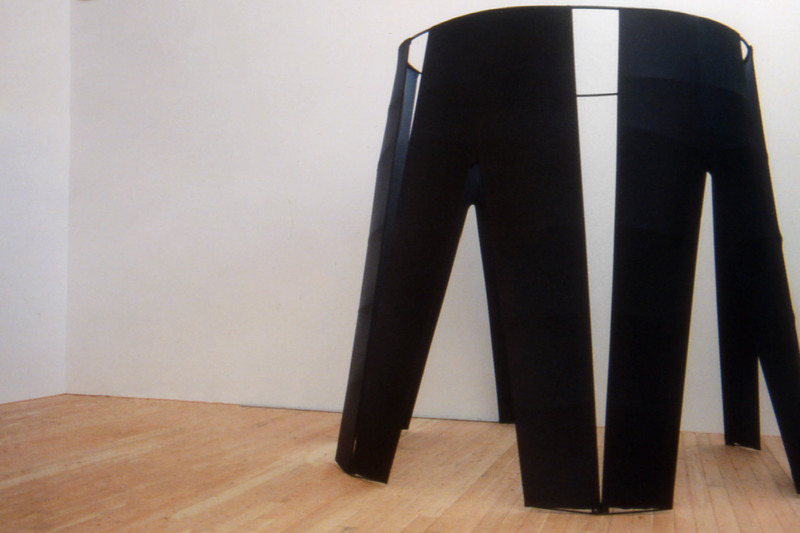 Based on a pair of black stretch pants, this free standing self-supporting structure is ready to be occupied. A strategic center combining clothing and architecture. Cozy minimalism.